Stealth and strength. A mystery to explain. How can something born of such raw power be so nuanced? A hearty Nicaraguan Puro wrapped in the oily, unfermented Habano Oscar leaf. A fully body through and through, somehow cloaked in creaminess. A coiled tail and a clawed foot pay homage to its namesake... the Chupacabra. It rises from the earth. But it's not of this world. Chupcacabras feature a pigtailed head for each of cutting by hand and shaggy foot for ease of lighting. * All Chupacabras come 20 count per box except for the Gorditos. Gorditos come 10 count per box. 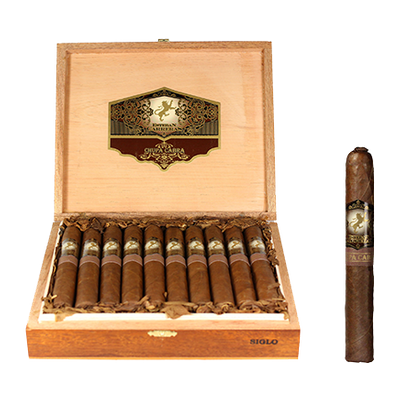 At the 2016 IPCPR we released a brand new variation of our best selling cigar Chupacabra. The Chupacabra Hellcat is wrapped in a gorgeous Mexican San Andres wrapper and features the same binder and inner filler tobaccos as used in the Chupacabra. It's also pigtail'd and shag foot'd. 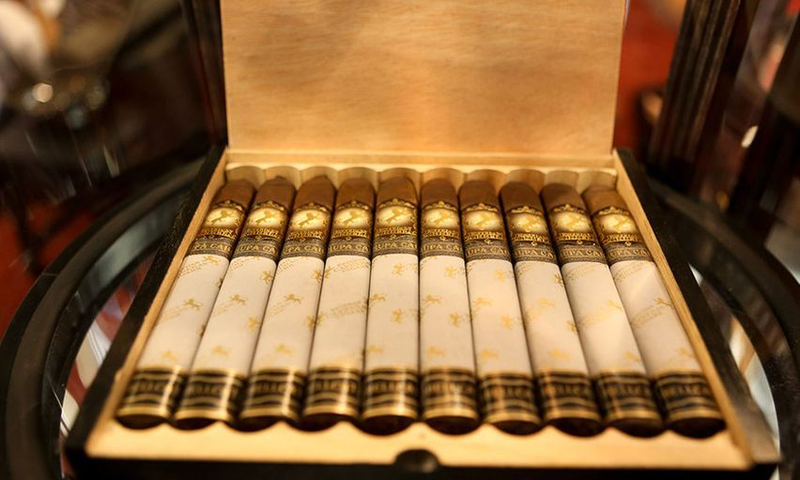 Unlike its parent cigar, it features a box press and is covered in both wax paper and foot band in order to protect its beautiful wrap. All three vitolas come in 20 count wood boxes and begin to ship in September.